MODULAR HOME BUILDER: Are First Time Home Buyers a Dead Market for New Home Builders? Are First Time Home Buyers a Dead Market for New Home Builders? 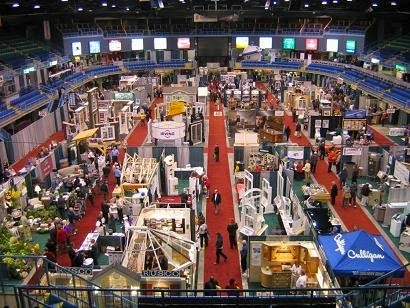 Attending a Home Show in the ‘90’s was so different than the ones I’ve seen this year. 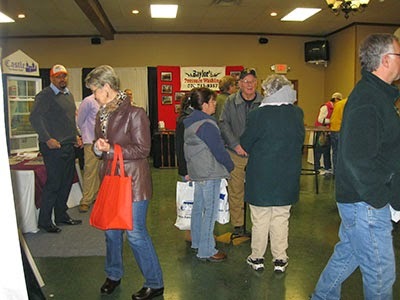 Instead of almost every new home builder with a pick up truck having a booth at the show in 1998, today it is only a few small independents and maybe a small regional builder. The big guns of yesterday that had booths that practically took a half hour to walk around now have a 10’ table with some pamphlets showing each of their developments and the house plans available in each. The ‘sales person’ watching the booth has little or no knowledge about how the house is constructed but knows everything about the future pool and community center that will soon be built. The small builder is still trying to sell to every single type of home buyer out there. A retired couple looking to downsize…yeah, we build those. A Gen X couple with a baby on the way looking to build a starter home…..yeah, we build those too. An addition for Grandma…sure! In reality, the small builder of today is faced with challenges that were unheard of just 20 years ago. The housing recession of 2008 closed up a ton of mortgage loopholes and forced the banking industry to clamp down hard on qualifying people looking to buy a new home. The cost of land, new and tougher building codes, fewer scattered building lots and environmental regulations have added thousands of dollars to the cost of building a home before the builder even begins the actual pricing of the home itself. Younger buyers, 24-35 years old, are finding that building a ‘starter’ home is almost impossible today. Townhouses and condominiums are the current starter homes for the first time home buyers. Lord knows that the small new home builder wants to build them a home but until he/she adds the cost of the actual base house to everything that is required by code and law along with the sky high price of land, they have priced the young first time home buyer into a townhouse instead of a new home. Will we ever see another Levittown? Maybe but I wouldn’t count on it being a bunch of single family homes on individual lots. Instead it will be row after row after row of townhouses with a pool and community center to be added soon. Remember the days when a modular home builder had a plan book containing 20 homes featuring 10 ranch style, 6 cape cods and 4 two story homes? The modular factories punched them out like jelly beans at Easter. Factory sales reps earned the dubious title of “order taker” instead of sales person back then. When someone wanted custom home you had to go to Haven Homes, Penn Lyon or Avis America. You were considered a high end modular home builder. Fast forward 20 years and you will find modular home builders looking more like those high end custom home builders of yesteryear, working with people that want solar panels, geothermal systems, low carbon homes and sustainable building materials in their 2,500+ sq ft, 3 car garage, custom patio and 2 story deck home. Modular home factories have also had to adapt to this new home buyer. Gone are the days of taking a standard plan and moving some doors and windows, adding a couple of feet here, subtracting a couple there and deciding if you want either the grey or white vinyl siding. Where should new home builders be looking for the first time new home buyer that wants to build? We’ll keep an eye on this situation in the coming months and give you some ideas that may get a few more new modular home contracts on your books. I discovered this truth about first time home buyers a few years ago. My buyers are now in the 45 to 65 year old range with equity in their present home and a fist full of dollars. I am also spending a lot more time closing the sale and working with factory engineering people than I ever have in the past. Sometimes I miss those eager first time home buyers.